A critical vulnerability has been discovered in macOS High Sierra allowing any user to get root access on a mac system without any passwords. In order to perform this, you just need to type “root” into the username field, leave the password blank, and hit the Enter a few times ( two or more) and gain access immediately. 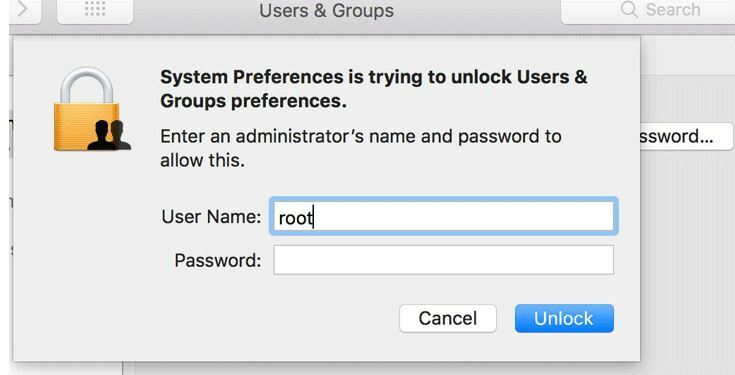 -> Open System Preferences-> Users & Groups -> Enter “root” in the username field-> Select Password field and hit enter multiple times. What’s more, there’s no patch yet for this! -> Enable the root user with a password.